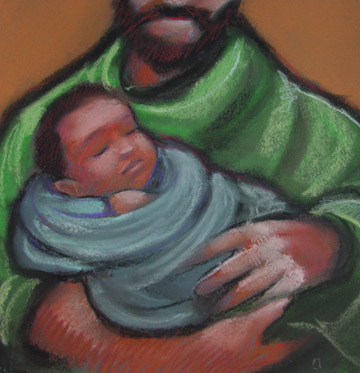 This was one of a series of pastel assignments for one of the Christian Reformed Church’s curriculum projects. I don’t remember exactly when this was done, but I’m guessing sometime in the early 90s, as I gradually phased out this sort of pastel work as the decade progressed, due to the headaches involved in shipping, and pastel dust covering every available office space (and probably my lungs). 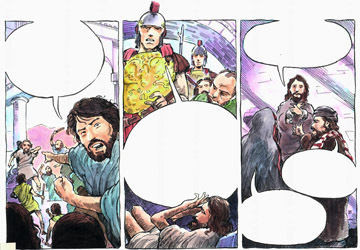 These ‘bible comics’ were for the Christian Reformed Church’s ongoing curriculum project that stretched from the early to late 90s. 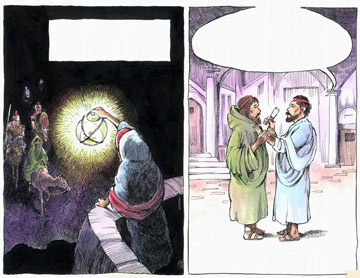 These two samples were part of a larger package of work that I did around October of ’93.